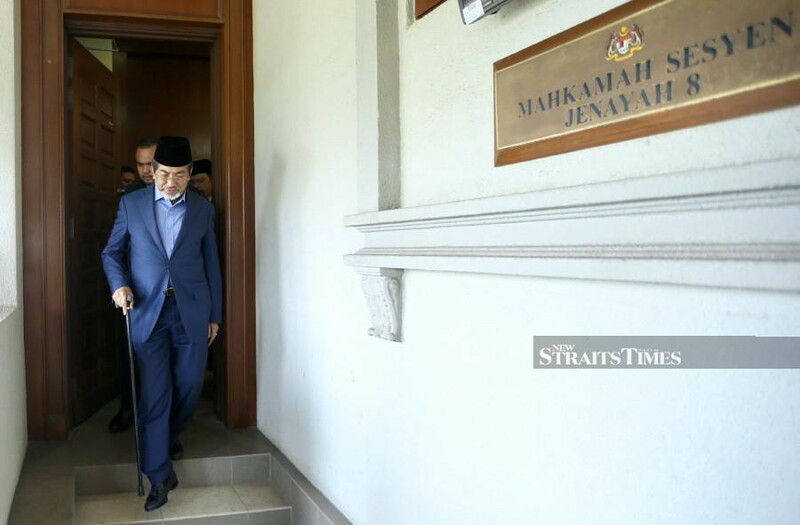 KUALA LUMPUR: The Sessions Court here today set May 6 to hear an application on legal issues by the defence in the case of former Sabah Chief Minister Tan Sri Musa Aman, who is facing 16 counts of money laundering amounting to US$37.8 million ($51.2 million) and SG$2.5 million (RM7.61 million). “The respondent (prosecution) intends to file an affidavit-in-reply, within 14 days from April 10. This is because affidavits have to be obtained from Hong Kong and Singapore diplomatic officers. “The prosecution received the defence application on April 10,” he said, adding that the prosecution would submit the affidavit-in-reply on April 24. For the second to 15th counts, Musa was accused of receiving US$16,148,547 and US$1,047,153 from Chia Tien Foh; US$2,702,702 and US$2,180,673 from Young Generation Corp; US$4,044,956.82 from Lo Man Heng; US$518,681.74 and US$895,000 from Mazlan Zakaria; US$7,300,000 and SG$2,500,000 from Axon Group Ltd; US$862,000 and US$778,443 from Well Capital Finance Limited; US$650,000 from Innovative Information Ltd; US$406,003.29 from Portland Trading Pte Ltd, and US$311,332.50 from Well Capital Finance Limited,all believed to be proceeds from unlawful activities through Barnes’ bank account. On the 16th count, Musa was alleged to have instructed Barnes to transfer all of his assets and future inflows, believed to be proceeds from unlawful activities from Barnes’ bank account to his personal account at UBS AG Bank in Zurich, Switzerland. For the second until the 16th charges, Musa was accused of committing the offences at UBS AG Bank, in Hong Kong, China, between June 21, 2006 and May 14, 2008. The prosecution also informed the court that they had filed an application to transfer Musa’s case to the High Court and that the date to hear the application has been fixed for April 22.